Scott Olson / Getty ImagesUnited has struggled to rehabilitate its image over the past year. Two United Airlines flight attendants sued the airline over their firing in September 2013. They have been awarded $US800,000 in damages, and their attorney thinks that figure could rise. The attorney said that during the trial, a United supervisor said he thought lighting a fire in an aeroplane bathroom was as serious as one of the reasons for Lee’s and Stroup’s firing: watching a video on an iPad for 15 minutes. Ruben Lee and Jeanne Stroup had worked as flight attendants for United Airlines for more than 70 years combined when they were fired in September 2013. Neither had received a customer complaint or been disciplined at any point during their time with the airline, an age-discrimination lawsuit they filed against United says. But when a supervisor observed them watching a video on an iPad for 15 minutes and neglecting to wear aprons when serving passengers on a flight from Denver to San Francisco, the airline decided to let them go, the suit says. Now, Lee and Stroup have been awarded $US800,000 in damages, and the duo’s attorney, David Lane, thinks that figure could rise, according to the Denver newspaper Westword. “We respectfully disagree with the jury’s decision and are reviewing our options for appeal,” a United representative said in an email to Business Insider. Lane argued that United has no system for matching employee misbehavior to an appropriate punishment. He also told Westword about an exchange during the trial that he believes may have helped sway the jury toward Lee and Stroup’s side. While questioning a United supervisor, Lane called the reasons for Lee and Stroup’s firing “pretty ticky-tacky,” he said. “No, I disagree with that,” the supervisor said, Lane told Westword. 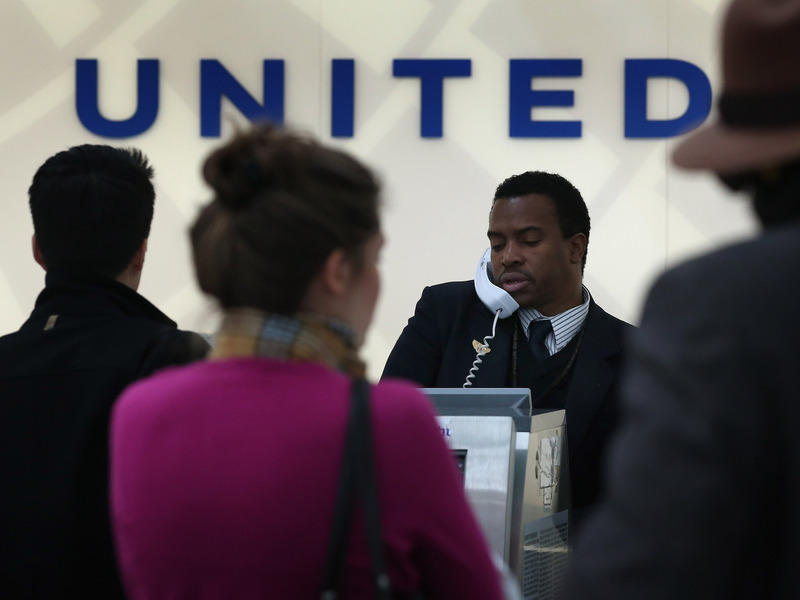 The trial decision is the latest bad news for United, which has struggled to rehabilitate its image in the year since a public-relations nightmare over a passenger being dragged off an overbooked flight. Last week, the airline had three dog-related mishaps that resulted in the death of one dog and two being placed on incorrect flights.